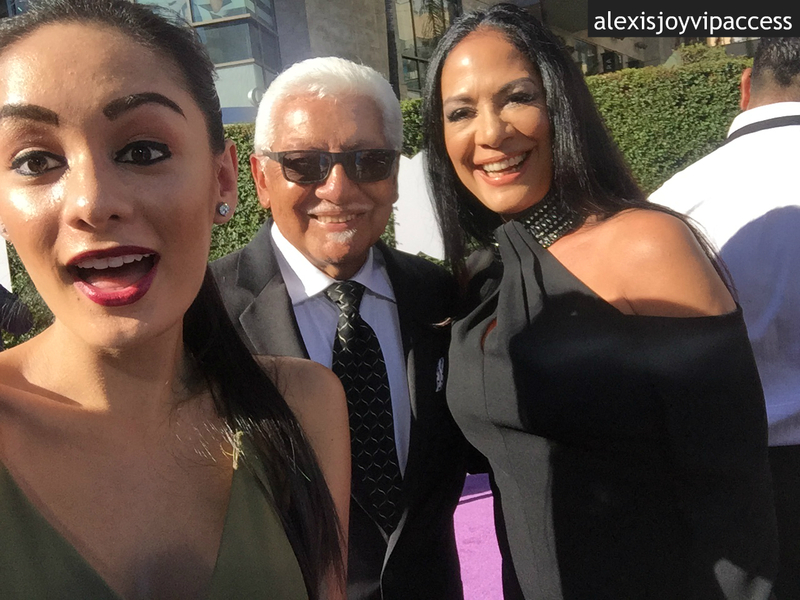 VIPAccessEXCLUSIVE: The Iconic Sheila E And The Stupendous Pete Escovedo Interview With Alexisjoyvipaccess At The 2016 Latin American Music Awards! Sheila E – a name that truly needs no form of introduction. Just hearing her name alone brings about a magical feeling as everyone knows that the name symbolizes a living legend, an icon, and a musical hero. From being one of the most exceptionally talented drummers that has ever walked on this planet, to bringing some incredible girl power to everything that she works on, there are no amount of words to describe just how brilliant Sheila E is. Sheila E is the quintessential musical phenomenon who has captured the hearts of fans through her impeccable talent. She’s brought everyone to “The Glamorous Life” with her highly-acclaimed song and has always been someone that everyone would look up to and aspire to be, and she continues to be just that. In addition to being a remarkable musician and also a great friend and musical collaborator to the one and only Prince, Sheila E is also someone who is an influential figure and inspiration to everyone. One of Sheila E’s biggest priorities is to give back to others. She co-founded the Elevate Hope Foundation and tries in all ways possible to encourage everyone to follow after their dreams. She is also an author of her own book, The Beat Of My Own Drum. There is no experience quite like seeing Sheila E performing on stage because when you do, you are seeing one of the most consummate musicians ever bringing out her life and passion on that very stage. Before Sheila E became the outstanding musician she is today, there were many people who inspired her the same way she inspires everyone; and one person especially was her stupendous father, Pete Escovedo. Pete Escovedo is known for making such a great impact in this world as a spectacular musician and percussionist. He has changed the world of music in more ways than imaginable and has contributed a great amount into making the music world what it is today. Pete Escovedo and his daughter, Sheila E are musical geniuses. I, Alexisjoyvipaccess had the greatest honor of covering the renowned and prestigious 2016 Latin American Music Awards and had the honor of interviewing the legendary Sheila E and Pete Escovedo at the event. Sheila E talked exclusively with Alexisjoyvipaccess all about what it was like for her being at the Latin AMAs with her dad, what other upcoming projects she is working on including her Glamorous Life Latin Tour, and Pete Escovedo talked about what it is like for him seeing how much of an impact he has made in his daughter’s life and musical career in our VIPAccessEXCLUSIVE interview. Sheila E and Pete Escovedo also sent out a heart-warming and inspiring message to all of their fans – hear what they had to say in our VIPAccessEXCLUSIVE interview below. Thank you Sheila E and Pete Escovedo for the wonderful interview! Check out my VIPAccessEXCLUSIVE interview with the magnificent Sheila E and Pete Escovedo at the 2016 Latin American Music Awards below! Previous VIPAccessEXCLUSIVE: The Extraordinary ChocQuibTown Exclusive Interview With Alexisjoyvipaccess At The 2016 Latin American Music Awards! Next VIPAccessEXCLUSIVE: The Stupendous Dvicio Updated Interview With Alexisjoyvipaccess At The 2016 Latin American Music Awards!